Last night I went along to a screening of James Erskine's feature length film about the infamous rider, Marco Pantani (cheers for the hookup Boom). The film tackles one of the most complex and tragic tales within not only the world of cycling, but the greater sphere of sporting life (and in this case, death). Most will be at least vaguely familiar with the story of Pantani, a complex narrative murkied with conflicting stories and opinions on the man. Based loosely upon the seminal biography 'The Death of Marco Pantani' by Matt Rendell (essential reading for any professional cycling enthusiast), Erskine seeks to tell the story of a troubled and tragic champion. Starting of course with Marco as a child, finding his way into a sport from which it appears he had natural gifts and talents from the outset. Some of the earlier footage of him racing was fantastic, I had certainly never seen clips of him as an under 16 racing, and of course, winning. One particularly charming vintage clip sees a fumbling and flustering Pantani struggle to articulate an answer to a question about his trainer, humorously responding in the most basic of fashion. It was hard not to feel an affinity with this little reserved and curious looking child. The film is a fabric woven together by dialogue from many of Pantani's inner circle, amongst most significantly, his mother Tonina. Its quite a uncomfortable and melancholic experience to watch what is essentially a grieving mother recant a story so clearly painful and visceral to her. Her closing comments really left a sad taste in the mouth, of a hopeless tragedy that perhaps on some subconscious level she lays blame with herself. Its quite a lot to stomach. I must confess my opinion on Marco seems to be a fairly fluid one... I fall in love with the romantic swashbuckling hero, darting uphill in the drops with such ferocity, but then equally I loathe the duplicitous and dirty drug addled moron who wasted his life in such a selfish manner. Its this complexity that lends itself well to the film, with an opportunity to look through the other side of the looking glass and see Pantani in perhaps a different way. An open heart and an open mind are perhaps better accompaniments to this film than popcorn and fizzy pop. One thing the feature absolutely nails is the race footage. They build a sense of drama and anticipation, and present those moments of racing magic in a really nice way. Obviously the big screen experience lends itself perfectly to watch the mutilation unfold (both of himself and the others) as Marco massacres the famous Galibier in '98. The film is indeed an interesting watch. I must confess, I did prefer the book to the film. Perhaps this is due to the intense nature of the story and the myth, with a book you can choose when to dip in and out of this brutal reality that was professional cycling in that infamous era. I left the cinema feeling a little blue and melancholic. But such is life, quite often the happy endings don't actually work out as intended. Wiggle have got the Elite Arion rollers for a whopping 40% off at an astonishing £120. Used with smooth tyres Iv found these rollers to be fairly quiet, Im just gutted I bought them at full whack last year! An ideal addition to the training bank for a rainy days training. 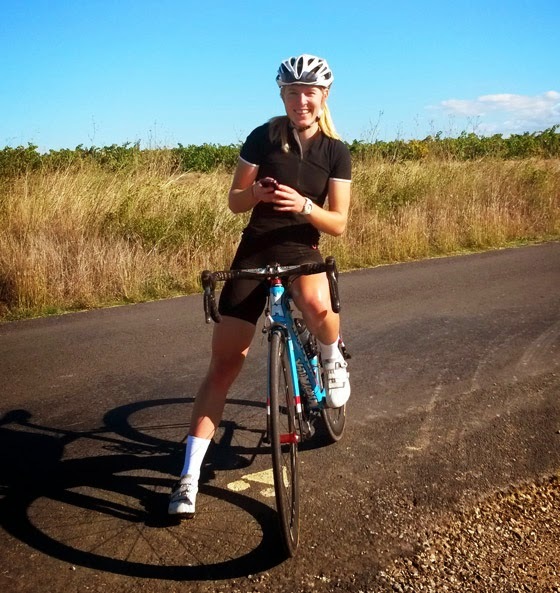 I was very lucky to have spent a week riding last year with one of Britains most exciting young cycling talents, the very likeable (and ridiculously fast) Hannah Barnes. 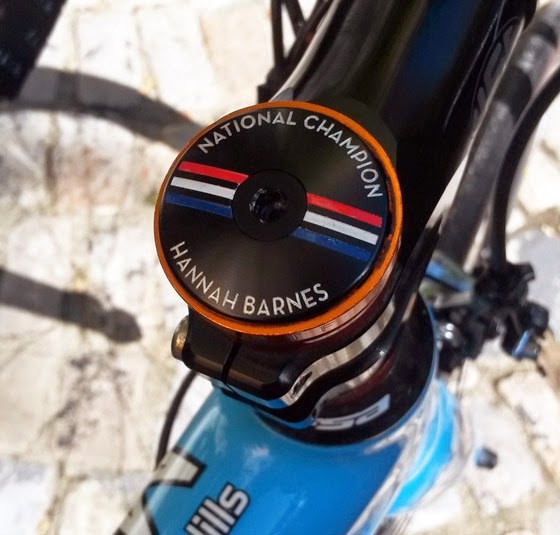 As famed for her bloodied-grin-yet-still-won-the-races antics as she is for her extremely down to earth nature, Hannah has had a pretty meteoric rise to the top level of ladies professional cycling. Starting the Womens Tour this week with her American based UnitedHealthcare team, the current British Criterium Champ spent last season smashing her way onto the top step of countless podiums, not withstanding a controversy-logged victory with the reversal of Laura Trotts' infamous smithfield nocturn 'win' (which she actually didn't win at all - photos came to light to show Hannah as the true & rightful first place). I took the opportunity to catch up and ask Hannah a few questions just ahead of the inaugural Womens Tour, as her and her PRO looking team bus graced our (rather damp) shores. G - So! Hannah, this season saw you head over to join UnitedHealthcare over in the states! How has that been for you so far? H - Unitedhealthcare has been great. I have enjoyed the start of the season a lot and the team have been really supportive. Being my first year on the team and being so young it was so great that they have given me the opportunity to show them what I am capable of and to also sacrifice their results for me. It always makes winning a race even more special. G - How did that first win as part of the blue train feel when you took the win at San Luis? It must have felt quite a reassurance, to be up there on the worldwide stage and putting in a comfortable winning ride? H - Going into San Luis I was very nervous. After such a great season in 2013 I was very apprehensive and didn’t quite know how I was going to go. Signing for a huge team like UHC you definitely feel the pressure. I had never raced in January before but in Argentina it was a great way to get into the season. The first stage was a sprinters stage and from the word go we had a team plan and wanted it to come down to bunch kick which I was really excited about. To cross the line first after the girls had done everything they could to get me in the best position for the finish. Alison did such a great job and I didn’t even have to open up my sprint until 150m to go which gave me such confidence that I had a great team around me. G - You have since won the Novant Invitational as well in April, you seem to have a nice balance of working for a team-mate and also getting opportunities for yourself personally, which is really nice to see, especially as a relative youngster in her first year on a big team. Is this a balance you feel content with? H - Novant Health was a great event. I didn't quite realise how big the event was until I turned up. Having the guys there with us and them having such a great season last year winning 33 out of 36 crits having them tell us how to ride the race was great. I felt so proud to watch my team ride how they did for me. It meant so much that they rode how they did for me and to celebrate with them after was special. They are giving me so many great opportunities and to be this young in the sport they have shown that they have belief that I am capable to race on the world stage. 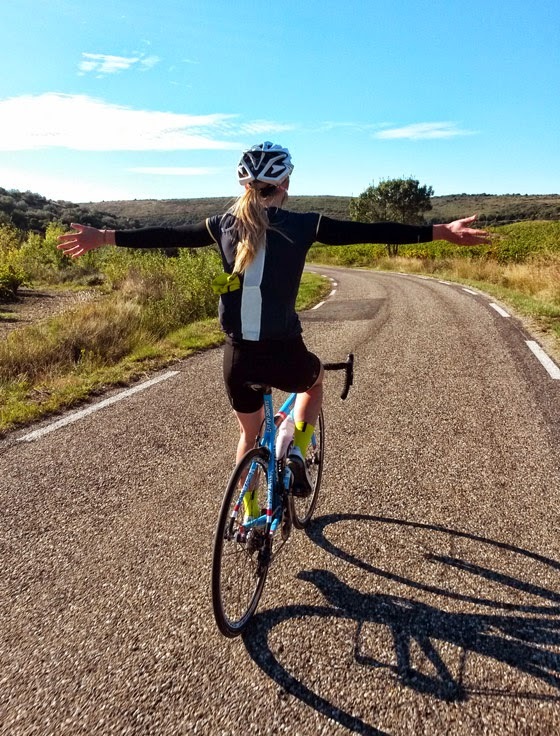 G - Your team-mates include Sharon Laws, who is a stalwart of the womens pro cycling scene, but also superstar and multiple national champ and winner of the giro rosa, Mara Abbot. How have you found being in a team with such big names? Especially being in the El Salvador team, working to help Mara secure overall honours? H - Riding with Sharon and Mara is great, I have learnt a lot. Sharon isn't only my team mate she is also my house mate and we have spent a lot of time together. She is the most driven person I have ever met and I admire her for that. El Salvador was great and once in a life time experience and I loved every second of it. To be able to watch Mara race up a mountain was unreal. She is one of the best climbers in the world and to be able to watch it first hand (from the back of a car) was unbelievable. I loved working for Shaorn and Mara in the mountains just becauseI know they will do everything they can to finish it off just like I will in a bunch kick. I have learnt so much from them and hope to learn a lot more as the season goes on. I can’t wait for this years Giro and to be able to help Mara hopefully to the overall win like she did in 2010 and 2013 and for Sharon to get a great result in GC and possibly a stage win. G - Do you like the style of US racing? Do you feel it particularly suits you? H - My first American race was in Redlands, CA. I and no idea what to expect. I had no idea who the riders were and who I needed to look out for etc but having team mates that had raced the riders for the last forever long it was helpful. I find the races a lot harder and there is always someone trying to get up the road. There are a lot of established teams in America and they all know what they are doing and how to win the race. We have had plenty of scenarios of teams bumping into our trains and racing us to get their sprinters to the finish first. G - The womens tour is almost upon us - how flippin excited are you? are there any particular stages you will be targeting, or is it a play-it-by-ear scenario? Will you have a dedicated #bluetrain team? 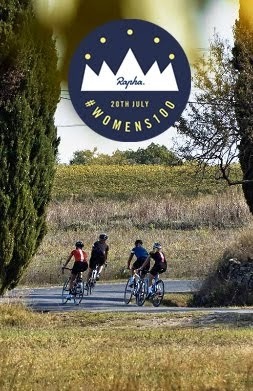 H - I am so excited about the women’s tour. Ever since we we're told that we were coming I have been so looking forward to coming home, riding the roads I train on and seeing all my friends and family that I have missed whilst I have been out in America. Stage 1 is the one that I am targeting. It finishes so close to home and have so many people coming to watch me. We have no particular scenario. All we have been told is go into it and enjoy it, take it all in and have fun. Which is good because I got myself worked up and have put a lot of pressure on myself to do well. G - Hannah - how tall are you? 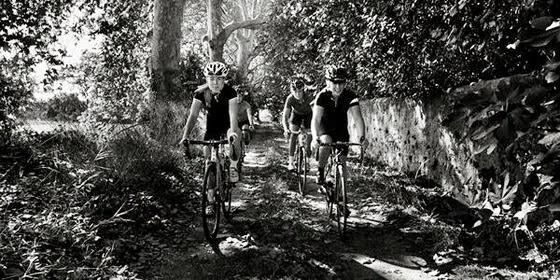 on the UHC website it states 5’7, but I remember being as tall or if not taller than you when we rode on the Rapha Cevennes photoshoot. Can you confirm if I need to purchase a new tape measure, or have you been fibbing ;) ? 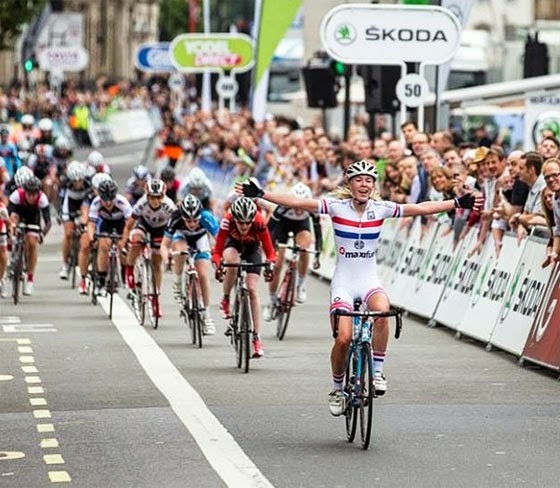 H - Women’s cycling is huge in Britain at the moment. This tour is going to be a massive event for us all and I can’t wait for it to start. The Olympics road race was the start of it. Everyone said how aggressive and exciting it was and I think that's when everyone wants to see more women’s racing in the country. I am so lucky to be in the sport and to be able to witness the growth first hand. Its such an exciting prospect and I hope it just keeps growing. La course I cannot wait for. The teams and invites haven’t been confirmed yet but I would love to take part and the team would be over in Europe for the Giro so we would just stay there if we were to ride. G - What would be one tangible change you think necessary to improve womens professional level cycling? H - Women’s cycling is growing more and more and that has been helped by the sponsors coming on board. Obviously its no where near the mens peloton but its definitely getting better. UHC I think is a great team just because it has a mens and women’s team. Its great going on training camps with the guys and having their advice about racing and tactics. We also get to share the resources they have so for the TOB we will have the team bus which is going to be awesome. Will for sure make the transfers a lot nicer than being cramped up in a car. G - ok, lets finish with a little ‘quick-fire’ section! Riding - mountains or pave? > Pave! Caps - yes or no? > Yes!